Kylie's Brites feather mouse rattler features a bright multi-colored mouse with a fluffy feather. Cats will love to chase the mouse. This mouse is also a great way for them to get exercise. 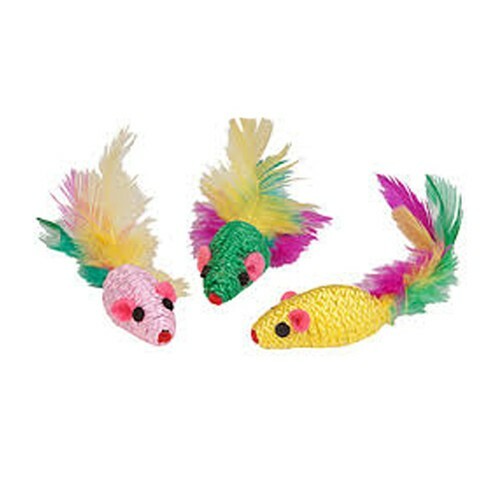 Length: 4 to 6.5 inch approximately La souris pour chat saura attirer votre chat avec ces multi-couleurs vifs et ces plumes. Vos chats adoreront chasser ces jouets. Il s’agit d’un bon moyen de faire courir vos minous.